How Does AED Therapy Work? When patients become pulseless they go through a brief period in which their heart goes into a chaotic quivering due to erratic electrical activity. This is called ventricular fibrillation (VF). VF eventually deteriorates into a total absence of electrical activity, usually in about 10 to 15 minutes. Individuals who receive CPR and the AED within the first 3-5 minutes have the best chance to survive cardiac arrest. An AED delivers electrical current through heart muscle, temporarily ceasing all electrical activity in the heart, allowing the heart to resume in an organized pumping action instead of VF. EMS national response times average around 8-9 minutes. The American Heart Association estimates that for every minute that the patient is not defibrillated, they lose up to 10% off their chance of surviving. A bystander defibrillation, delivered moments after the arrest, can be much more successful. 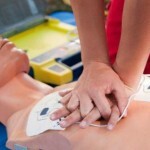 As a result, many companies have begun defibrillation projects. 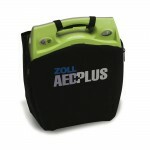 AED's are virtually standard in most industries these days. Most Fortune 500 companies already have them in their offices. AED's haven become common place in airports, commercial aircraft's, casinos fitness centers, houses of worship, and in schools just to name a few. It's not terribly difficult to start an AED program provided an individual has the required degree of technical expertise, knowledge of equipment and attention to detail. While it is not out of the realm of the average safety coordinator or other employee, because of the time consumption, technical and maintenance requirements, many companies prefer to allow a consulting group such as ours handle the details. Since this type of management is relatively inexpensive, it allows you to have professional management that does not greatly affect your budget. Kentuckiana Training Center can help with all phases of your defibrillation project. If you would like to manage your own AED device, our involvement can be as simple as just selling the unit. If you would like program management, we can provide a more comprehensive service with sophisticated features that meet your facility needs. What are the current prescription requirements? For home users, there is one AED that has been exempted from the usual prescription requirement by the Food & Drug Administration (FDA). Some states also require medical direction/physician oversight for the use of the device. The physician extends his/her license to the group purchasing the service to shock the patient with 'doctor's orders', reviews the EKG after an event, and provides assistance and feedback after use. 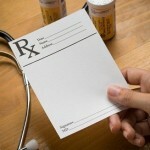 There is currently prescription requirement for all workplace programs, regardless of the brand of AED. This service is easily provided by medical direction services, and can be provided by Kentuckiana Training Center. Our purchased AED's already include the price of prescription. Our leased programs include medical direction service that includes post-event review should the AED be used. As a complete service provider, you won't have to worry about securing AED prescription when you work with Kentuckiana Training Center. What are the regulations that enable AED use by non-clinicians? States generally regulate that at the local level. Most of them are very simple laws that allow individuals with a 3-4 hour CPR/AED credential to use an AED. They even grant liability immunity to those using (and in some cases the organization purchasing) the AED. In fact, the greater legal concern these days is in not having an AED at a location where is was reasonable and prudent to have one. In summary, you can feel good about implementing an AED program at almost any location. Note: Two sections (of the Business & Professional Code) apply to licensed medical providers, i.e. doctors & nurses. One section (of the Health & Safety Code) applies to EMS/FF/LEOs. No licensee, who in good faith renders emergency care at the scene of an emergency, shall be liable for any civil damages as a result of any acts or omissions by such person in rendering the emergency care. “The scene of an emergency” as used in this section shall include, but not be limited to, the emergency rooms of hospitals in the event of a medical disaster. “Medical disaster” means a duly proclaimed state of emergency or local emergency declared pursuant to the California Emergency Services Act (Chapter 7 (commencing with Section 8550) of Division 1 of Title 2 of the Government Code). Acts or omissions exempted from liability pursuant to this section shall include those acts or omissions which occur after the declaration of a medical disaster and those which occurred prior to such declaration but after the commencement of such medical disaster. The immunity granted in this section shall not apply in the event of a willful act or omission. No licensee, who in good faith upon the request of another person so licensed, renders emergency medical care to a person for medical complication arising from prior care by another person so licensed, shall be liable for any civil damages as a result of any acts or omissions by such licensed person in rendering such emergency medical care. In addition to the provisions of Section 1799.104 of this code and of > Section 1714.2 of the Civil Code and in order to encourage the provision of emergency medical services by firefighters, police officers or other law enforcement officers, EMT-I, EMT-II, or EMT-P, a firefighter, police officer or other law enforcement officer, EMT-I, EMT-II, or EMT-P who renders emergency medical services at the scene of an emergency shall only be liable in civil damages for acts or omissions performed in a grossly neglgent manner or acts or omissions not performed in good faith. A public agency employing such a firefighter, police officer or other law enforcement officer, EMT-I, EMT-II, or EMT-P shall not be liable for civil damages if the firefighter, police officer or other law enforcement officer, EMT-I, EMT-II, or EMT-P is not liable. compensation, renders emergency care at the scene of an emergency. 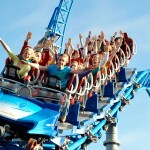 of receiving compensation for providing the emergency care. treatment by the use of an AED. not otherwise licensed or certified for the use of the device. Section 1714.21 of the Civil Code. omissions of the person rendering the emergency care. Code that apply to that physician, person, or entity. renders emergency care or treatment by the use of an AED. location, and type of AED acquired. Administration and any other applicable state and federal authority. the AED to the licensed physician and to the local EMS agency. requirements for training, notification, and maintenance. penalties pursuant to Section 1798.206. 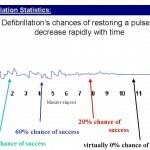 8 defibrillator; providing an effective date. 24 devices in an out-of-hospital environment. 12 inspection of the automatic or semiautomatic defibrillator. 15 the patient, the user, or other persons. 18 applying an automatic or semiautomatic defibrillator. 24 automatic or semiautomatic defibrillator is necessary. 4 support, and advanced life support. 6 until the arrival of medically qualified personnel. (2)(a) Any person, including those licensed to practice medicine, who gratuitously and in good faith renders emergency care or treatment either in direct response to emergency situations related to and arising out of a public health emergency declared pursuant to s. 381.00315, a state of emergency which has been declared pursuant to s. 252.36 or at the scene of an emergency outside of a hospital, doctor’s office, or other place having proper medical equipment, without objection of the injured victim or victims thereof, shall not be held liable for any civil damages as a result of such care or treatment or as a result of any act or failure to act in providing or arranging further medical treatment where the person acts as an ordinary reasonably prudent person would have acted under the same or similar circumstances. (b)1. Any hospital licensed under chapter 395, any employee of such hospital working in a clinical area within the facility and providing patient care, and any person licensed to practice medicine who in good faith renders medical care or treatment necessitated by a sudden, unexpected situation or occurrence resulting in a serious medical condition demanding immediate medical attention, for which the patient enters the hospital through its emergency room or trauma center, or necessitated by a public health emergency declared pursuant to s. 381.00315 shall not be held liable for any civil damages as a result of such medical care or treatment unless such damages result from providing, or failing to provide, medical care or treatment under circumstances demonstrating a reckless disregard for the consequences so as to affect the life or health of another. b. Unrelated to the original medical emergency. a. The extent or serious nature of the circumstances prevailing. b. The lack of time or ability to obtain appropriate consultation. c. The lack of a prior patient-physician relationship. d. The inability to obtain an appropriate medical history of the patient. e. The time constraints imposed by coexisting emergencies. 4. Every emergency care facility granted immunity under this paragraph shall accept and treat all emergency care patients within the operational capacity of such facility without regard to ability to pay, including patients transferred from another emergency care facility or other health care provider pursuant to Pub. L. No. 99-272, s. 9121. The failure of an emergency care facility to comply with this subparagraph constitutes grounds for the department to initiate disciplinary action against the facility pursuant to chapter 395. (c) Any person who is licensed to practice medicine, while acting as a staff member or with professional clinical privileges at a nonprofit medical facility, other than a hospital licensed under chapter 395, or while performing health screening services, shall not be held liable for any civil damages as a result of care or treatment provided gratuitously in such capacity as a result of any act or failure to act in such capacity in providing or arranging further medical treatment, if such person acts as a reasonably prudent person licensed to practice medicine would have acted under the same or similar circumstances. (3) Any person, including those licensed to practice veterinary medicine, who gratuitously and in good faith renders emergency care or treatment to an injured animal at the scene of an emergency on or adjacent to a roadway shall not be held liable for any civil damages as a result of such care or treatment or as a result of any act or failure to act in providing or arranging further medical treatment where the person acts as an ordinary reasonably prudent person would have acted under the same or similar circumstances. History.–ss. 1, 2, ch. 65-313; s. 1, ch. 78-334; s. 62, ch. 86-160; s. 46, ch. 88-1; s. 4, ch. 88-173; s. 42, ch. 88-277; s. 1, ch. 89-71; s. 37, ch. 91-110; s. 33, ch. 93-211; s. 3, ch. 97-34; s. 1164, ch. 97-102; s. 2, ch. 2001-76; s. 3, ch. 2002-269. Citations Affected: IC 16-31; IC 34-4.
commission of the acquisition and location of the defibrillator. to the area as soon as practicable following the use of the defibrillator. external defibrillator to the user for the purpose of rendering the care. for use of the defibrillator. additions will appear in this style type, and deletions will appear in this style type. a new provision to the Indiana Code or the Indiana Constitution. between statutes enacted by the 1997 General Assembly. equivalent, taught by a national or state approved instructor.”. Page 2, delete lines 4 through 5. Page 2, line 6, delete “instructor.”. Page 2, line 7, delete “defibrillator use” and insert “defibrillation”. and when so amended that said bill do pass. Committee Vote: Yeas 9, Nays 0.
as coauthors of Senate Bill 171. (a) An ambulance attendant or a certified emergency medical technician who provides emergency ambulance services to an emergency patient is not liable for an act or omission in providing those services unless the act or omission constitutes negligence or willful misconduct. If the attendant or technician is not liable for an act or omission, no other person incurs liability by reason of an agency relationship with the attendant or technician. (b) This section does not affect the liability of a driver of an ambulance for negligent operation of the ambulance. (a) Except for an act of negligence or willful misconduct, a certified first responder who uses an automatic or semiautomatic defibrillator on an emergency patient according to the training procedures established by the commission under IC 16-31-2-9 is immune from civil liability for acts or omissions when rendering those services. (b) If the first responder is immune from civil liability for the first responder’s act or omission, a person who has only an agency relationship with the first responder is also immune from civil liability for the act or omission. unless the act or omission was a result of negligence or willful misconduct. (a) This section does not apply to an act or omission that was a result of gross negligence or willful or intentional misconduct. (2) in accordance with the rules adopted by the Indiana emergency medical services commission or the disaster emergency declaration of the governor. This chapter applies only to persons who are subject to the standards established by the commission under IC 16-31-2-9. AN ACT related to the use of automated external defibrillators. It is the intent of the legislature that an automated external defibrillator may be used for the purpose of saving the life of another person in cardiac arrest when used in accordance with the provisions of Section 3 of this Act. (3) “Emergency medical service system” means the same as in KRS 211.950. (d) Any person who renders emergency care or treatment on a person in cardiac arrest by using an AED activates the local emergency medical services system as soon as possible and, if an entity with an AED program, reports any clinical use of the AED to the licensed physician. (2) Any person or entity who acquires an AED shall notify an agent of the local emergency medical services system and the local emergency communications or vehicle dispatch center of the existence, location, and type of AED acquired. (1) Any person or entity, who in good faith and without compensation, renders emergency care or treatment by the use of an AED shall be immune from civil liability for any personal injury as a result of the care or treatment, or as a result of any act or failure to act in providing or arranging further medical treatment where the person acts as a ordinary, reasonable prudent person would have acted under the same or similar circumstances. (2) The immunity from civil liability for any personal injury under subsection (1) of this section includes the licensed physician who is involved with AED site placement, the person or entity who provides the CPR and AED site placement, the person or entity who provides the CPR and AED training, and the person or entity responsible for the site where the AED is located. (3) The immunity from civil liability under subsection (1) of this section does not apply if the personal injury results from the gross negligence or willful or wanton misconduct of the person rendering the emergency care. (4) The requirements of Section 3 of this Act shall not apply to any individual using an AED in an emergency setting if that individual is acting as a good Samaritan under KRS 411.148 and KRS 313.257. (e) Paramedics certified under KRS 311.654, or emergency medical technicians certified under KRS 211.964. (2) Nothing in this section shall preclude the licensing boards referred to in Subsection (1) of this section from requiring continuing education or training on the use of an AED. (1) No physician licensed under KRS Chapter 311, registered or practical nurse licensed under KRS Chapter 314, person certified as an emergency medical technician by the Kentucky Cabinet for Human Resources, person certified by the American Heart Association or the American Red Cross to perform cardiopulmonary resuscitation, or employee of any board of education established pursuant to the provision of > KRS 160.160, who has completed a course in first aid and who maintains current certification therein in accordance with the standards set forth by the American Red Cross shall be liable in civil damages for administering emergency care or treatment at the scene of an emergency outside of a hospital, doctor’s office, or other place having proper medical equipment excluding house calls, for acts performed at the scene of such emergency, unless such acts constitute willful or wanton misconduct. (2) Nothing in this section applies to the administering of such care or treatment where the same is rendered for remuneration or with the expectation of remuneration. (3) The administering of emergency care or treatment at the scene of an emergency by employees of a board of education shall not be considered to be rendered for remuneration or with the expectation of remuneration because such personnel perform such care as part of their regular professional or work responsibilities for which they receive their regular salaries from the school board which is their employer. Woerkom, Vear and Hager and referred to the Committee on Family and Civil Law. by amending section 4 (MCL 691.1504), as added by 1986 PA 21. 8 or WILLFUL and wanton misconduct. 3 after May 1, 1986. 21 FILED OR PENDING ON OR AFTER JULY 1, 1999. 24 MCL 333.20901 TO 333.20979. Sec. 20965. (1) Unless an act or omission is the result of gross negligence or willful misconduct, the acts or omissions of a medical first responder, emergency medical technician, emergency medical technician specialist, paramedic, medical director of a medical control authority or his or her designee, or, subject to subsection (5), an individual acting as a clinical preceptor of a department-approved education program sponsor while providing services to a patient outside a hospital, in a hospital before transferring patient care to hospital personnel, or in a clinical setting that are consistent with the individual’s licensure or additional training required by the medical control authority including, but not limited to, services described in subsection (2), or consistent with an approved procedure for that particular education program do not impose liability in the treatment of a patient on those individuals or any of the following persons: (a) The authorizing physician or physician’s designee. (b) The medical director and individuals serving on the governing board, advisory body, or committee of the medical control authority and an employee of the medical control authority. (c) The person providing communications services or lawfully operating or utilizing supportive electronic communications devices. (d) The life support agency or an officer, member of the staff, or other employee of the life support agency. (e) The hospital or an officer, member of the staff, nurse, or other employee of the hospital. (f) The authoritative governmental unit or units. (g) Emergency personnel from outside the state. (h) The education program medical director. (i) The education program instructor-coordinator. (j) The education program sponsor and education program sponsor advisory committee. (k) The student of a department-approved education program who is participating in an education program-approved clinical setting. (l) An instructor or other staff employed by or under contract to a department-approved education program for the purpose of providing training or instruction for the department-approved education program. (m) The life support agency or an officer, member of the staff, or other employee of the life support agency providing the clinical setting described in subdivision (k). (n) The hospital or an officer, member of the medical staff, or other employee of the hospital providing the clinical setting described in subdivision (k). (2) Subsection (1) applies to services consisting of the use of an automated external defibrillator on an individual who is in or is exhibiting symptoms of cardiac distress. (3) Unless an act or omission is the result of gross negligence or willful misconduct, the acts or omissions of any of the persons named below, while participating in the development of protocols under this part, implementation of protocols under this part, or holding a participant in the emergency medical services system accountable for department-approved protocols under this part, does not impose liability in the performance of those functions: (a) The medical director and individuals serving on the governing board, advisory body, or committees of the medical control authority or employees of the medical control authority. (b) A participating hospital or freestanding surgical outpatient facility in the medical control authority or an officer, member of the medical staff, or other employee of the hospital or freestanding surgical outpatient facility. (c) A participating agency in the medical control authority or an officer, member of the medical staff, or other employee of the participating agency. (d) A nonprofit corporation that performs the functions of a medical control authority. 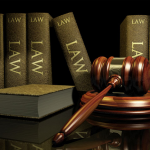 (4) Subsections (1) and (3) do not limit immunity from liability otherwise provided by law for any of the persons listed in subsections (1) and (3). (5) The limitation on liability granted to a clinical preceptor under subsection (1) applies only to an act or omission of the clinical preceptor relating directly to a student’s clinical training activity or responsibility while the clinical preceptor is physically present with the student during the clinical training activity, and does not apply to an act or omission of the clinical preceptor during that time that indirectly relates or does not relate to the student’s clinical training activity or responsibility. prevented each year if defibrillators were more widely available to designated responders. trained personnel throughout this State. requests delivery of an electrical impulse to an individual’s heart. C.2A:62A-25 Responsibilities of person, entity acquiring automated external defibrillator. in place to comply with the requirements of subsections a., b. and c. of this section. C.2A:62A-26 Requirements for user of defibrillator. responder-D by the Department of Health and Senior Sevices. appropriate first aid, ambulance or rescue squad as soon as practicable. C.2A:62A-27 Immunity from civil liability for user of defibrillator; exceptions. 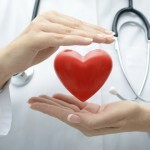 by the person or entity in providing, rendering or supervising the emergency care or treatment. resuscitation and use of the defibrillator. to fail to use a defibrillator in the absence of an otherwise preexisting duty to do so. Section 3000. Declaration of policy and statement of purpose. 3000-b. Automated external defibrillators: Public access providers. 3002. New York State emergency medical services council. 3002-a. State emergency medical advisory committee. 3003. Regional emergency medical services councils. *3003-b. Emergency medical service training; cable television. *3004. Voluntary ambulance service and municipal ambulance service registration. 3004-a. Regional emergency medical advisory committees. 3005-a. Staffing standards; ambulance services and advanced life support first response services. 3007. Notice of alternative destination. 3008. Applications for determinations of public need. 3009. Continuation of existing services. 3010. Area of operation; transfers. 3011. Powers and duties of the department and the commissioner. 3016. Continuance of rules and regulations. 3030. Advanced life support services. 3031. Advanced life support system. S 3000. Declaration of policy and statement of purpose. The furnishing of medical assistance in an emergency is a matter of vital concern affecting the public health, safety and welfare. Prehospital emergency medical care, the provision of prompt and effective communication among ambulances and hospitals and safe and effective care and transportation of the sick and injured are essential public health services. standards for advanced life support first response services and ambulance services. scene of an accident or other emergency outside a hospital, doctor’s office or any other place having proper and necessary medical equipment, to a person who is unconscious, ill, or injured, shall not be liable for damages for injuries alleged to have been sustained by such person or for damages for the death of such person alleged to have occurred by reason of an act or omission in the rendering of such emergency treatment unless it is established that such injuries were or such death was caused by gross negligence on the part of such person. Nothing in this section shall be deemed or construed to relieve a licensed physician, dentist, nurse, physical therapist or registered physician’s assistant from liability for damages for injuries or death caused by an act or omission on the part of such person while rendering professional services in the normal and ordinary course of his or her practice. liability for his, her or its own negligence, gross negligence or intentional misconduct. S 3000-b. Automated external defibrillators: Public access providers. to the patient’s heart to perform defibrillation. (b) “Emergency health care provider” means (i) a physician with knowledge and experience in the delivery of emergency cardiac care; or (ii) a hospital licensed under article twenty-eight of this chapter that provides emergency cardiac care. (c) “Public access defibrillation provider” means a person, firm, organization or other entity possessing or operating an automated external defibrillator pursuant to a collaborative agreement under this section. (d) “Nationally-recognized organization” means a national organization approved by the department for the purpose of training people in use of an automated external defibrillator. 2. Collaborative agreement. A person, firm, organization or other entity may purchase, acquire, possess and operate an automated external defibrillator pursuant to a collaborative agreement with an emergency health care provider. The collaborative agreement shall include a written agreement that incorporates written practice protocols, and policies and procedures that shall assure compliance with this section. The public access defibrillation provider shall file a copy of the collaborative agreement with the department and with the appropriate regional council prior to operating the automated external defibrillator. acting pursuant to a lawful prescription. (b) The public access defibrillation provider shall cause the automated external defibrillator to be maintained and tested according to applicable standards of the manufacturer and any appropriate government agency. (c) The public access defibrillation provider shall notify the regional council of the existence, location and type of any automated external defibrillator it possesses. (d) Every use of an automated external defibrillator on a patient shall be immediately reported to the appropriate local emergency medical services system, emergency communications center or emergency vehicle dispatch center as appropriate and promptly reported to the emergency health care provider. (e) The emergency health care provider shall participate in the regional quality improvement program pursuant to subdivision one of section three thousand four-a of this article. 4. Application of other laws. (a) Operation of an automated external defibrillator pursuant to this section shall be considered first aid or emergency treatment for the purpose of any statute relating to liability. (b) Operation of an automated external defibrillator pursuant to this section shall not constitute the unlawful practice of a profession under title VIII of the education law. 1. “Emergency medical service” means initial emergency medical assistance including, but not limited to, the treatment of trauma, burns, respiratory, circulatory and obstetrical emergencies. transportation of sick or injured persons by motor vehicle, aircraft or other forms of transportation to, from, or between general hospitals or other health care facilities. benefit of, its members, directors or officers except to the extent permitted under this article. income of which is distributable to, or enures to the benefit of, its members, directors or officers except to the extent permitted under this article. administration of initial life saving care of sick and injured persons. 6. “Emergency medical technician” means an individual who meets the minimum requirements established by regulations pursuant to section three thousand two of this article and who is responsible for administration or supervision of initial emergency medical care and transportation of sick or injured persons. 7. “Advanced emergency medical technician” means an emergency medical technician who has satisfactorily completed an advanced course of training approved by the state council under regulations pursuant to section three thousand two of this article. 8. “State council” means the New York State emergency medical services council established pursuant to this article. 9. “Regional council” means a regional emergency medical services council established pursuant to this article. 10. “Enrolled member” means any member of a voluntary ambulance service or voluntary advanced life support first response service who provides emergency medical care or transportation of sick or injured persons without expectation of monetary compensation. 11. “Advanced life support care” means definitive acute medical care provided, under medical control, by advanced emergency medical technicians within an advanced life support system. 12. “Advanced life support system” means an organized acute medical care system to provide advanced life support care on site or en route to, from, or between general hospitals or other health care facilities. 13. “Advanced life support mobile unit” means an ambulance or advanced life support first response vehicle approved to provide advanced life support services pursuant to this article. prehospital emergency medical care and transportation developed by the state emergency medical advisory committee, approved by the state emergency medical services council and the commissioner, and implemented by regional medical advisory committees. advanced life support providers and emergency medical services training sponsor medical directors approved by the affected regional emergency medical services councils. 17. “Advanced life support first response service” means an organization which provides advanced life support care, but does not transport patients. operation of an emergency medical services system within a region as directed by the regional council under this article. 19. “Operator” means any person who by reason of a direct or indirect ownership interest (whether of record or beneficial) has the ability, acting either alone or in concert with others with ownership interests, to direct or cause the direction of the management or policies of an ambulance service or advanced life support first response service. 20. “Mutual aid agreement” means a written agreement, entered into by two or more ambulance services or advanced life support first response services possessing valid ambulance service or advanced life support first response service certificates or statements of registration, for the organized, coordinated, and cooperative reciprocal mobilization of personnel, equipment, services, or facilities for back-up or support upon request as required pursuant to a written mutual aid plan. An ambulance service and advanced life support first response service may participate in one or more mutual aid agreements. 21. “Primary territory” means the geographic area or subdivisions listed on an ambulance service certificate or statement of registration within which the ambulance service may receive patients for transport. S 3002. New York State emergency medical services council. voluntary ambulance services, advanced life support first response services, ambulance services operating for profit, municipal ambulance services, hospitals, a statewide organization representing volunteer fire services, municipal tax districts providing ambulance services, physicians, and nurses. The commissioner shall also appoint a representative from each regional council, from nominations received from the appropriate regional council. The members of the state council shall elect a chairperson from among the members of the state council by a majority vote of those present, who shall serve for a term of one year and until a successor is elected. noncredit courses which would satisfy the educational requirements for certification and recertification of emergency medical technicians and advanced emergency medical technicians. regions) to allow emergency medical technicians and advanced emergency medical technicians who have been in continuous practice, who have demonstrated competence in applicable behavioral and performance objectives, and who have demonstrated completion of appropriate continuing education, to renew their certification under subdivision two of this section without requiring the completion of a written examination. In implementing this program the commissioner shall contract with and use the standards established by a nationally recognized organization that certifies emergency medical technicians and advanced emergency medical technicians. However, no pilot program shall include employees of a municipal ambulance service in cities with a population over one million. Renewals of certification under the demonstration program shall be deemed equivalent to renewals under subdivision two of this section for purposes of this article. effectiveness of the program in retaining certified emergency medical technicians and advanced emergency medical technicians, and the feasibility of replacing the state’s certification program with a national certification program. certified mail of a copy of the determination upon the applicant or holder of the certificate. reverse determinations of the regional councils made pursuant to subdivision five-a of section three thousand three of this article. 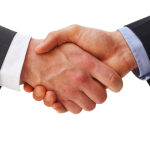 terms and until their successors are appointed and have qualified. No member shall be appointed to the state council for more than four consecutive terms. compensation for their services as members, but each shall be allowed the necessary and actual expenses incurred in the performance of his or her duties under this section. employees as the state council may require. any such action if he or she shall have acted in good faith, with reasonable care and upon probable cause. emergency medical services council. The state emergency medical advisory committee shall advise the state emergency medical services council prior to the issuance of any guidelines. The committee shall also review protocols developed by regional emergency medical advisory committees for consistency with statewide standards. 3. Each member shall have a term of two years, except that five of those first appointed shall have a term of three years. Members may succeed themselves. 4. The committee shall meet as frequently as its business may require. The presence of a majority of the members shall constitute a quorum. The members of the committee shall receive no compensation for their services as members, but each shall be allowed the necessary and actual expenses incurred in the performance of his or her duties under this section. 5. No civil action shall be brought in any court against any member, officer or employee of the committee for any act done, failure to act, or statement or opinion made, while discharging his or her duties as a member, officer, or employee of the committee, without leave from a justice of the supreme court, first had and obtained. In no event shall such member, officer, or employee be liable for damages in any such action if he or she shall have acted in good faith, with reasonable care and upon probable cause. councils submitted by local organizations, the members of which are knowledgeable in various aspects of emergency medical services. Such application shall describe the geographic area to be served and contain a list of nominees for appointment to membership on such regional councils and a statement as to the proposed method of operation in such detail as the commissioner, with the approval of the state council, shall prescribe. be limited to, representatives of existing local emergency medical care committees, physicians, nurses, hospitals, health planning agencies, fire department emergency and rescue squads, public health officers and the general public. The county EMS coordinator, established pursuant to section two hundred twenty-three-b of the county law, of any county within the region shall serve as an ex officio member of the regional council; provided, however, nothing in this subdivision shall prevent a county EMS coordinator from serving as a voting member of a regional council. Members of each regional council shall be residents living within the geographic area to be served by the regional council. The presence of a majority of members shall constitute a quorum. purposes and for the exercise of the powers granted in this article. rates or premiums related thereto, notwithstanding any other provision of law, rule, regulation, or commissioner’s ruling or advisory to the contrary. Prior to issuing an exemption, the regional council shall provide written notice by certified mail to the chief executive officers of all general hospitals and municipalities in the county or counties within which the service requesting an exemption operates. Such notice shall provide opportunity for comment on the issuance of the exemption. Notice of the determination of the regional council shall be provided within ten days of the determination to the applicant, the department, and any party receiving notification of the application who requests notice of the determination. The applicant, the department, or any concerned party may appeal the determination of the regional council to the state council within thirty days after the regional council makes its determination. 6. The term of office of members of the regional council shall be four years, except that of those members first appointed, at least one-half but not more than two-thirds shall be for terms not to exceed two years. 7. Each regional council shall meet as frequently as its business may require. employees as the regional council may require. 9. No civil action shall be brought in any court against any member, officer or employee of any designated regional council for any act done, failure to act, or statement or opinion made, while discharging his duties as a member, officer or employee of the regional council, without leave from a justice of the supreme court, first had and obtained. In any event such member, officer or employee shall not be liable for damages in any such action if he shall have acted in good faith, with reasonable care and upon probable cause. purposes and provisions of this subdivision. care within its region, staffing the regional emergency medical advisory committees provided for in section three thousand four-a of this article, providing prehospital education programs approved by the department, and other activities to support and facilitate regional emergency medical services systems. 2. The programs developed by the agencies established by subdivision one of this section shall be implemented beginning in nineteen hundred ninety-three using funds collected by the New York state emergency medical services training account, established within the miscellaneous special revenue fund – 339 by section ninety-seven-q of the state finance law. ninety-seven-q of the state finance law, shall be adequate to support the costs incurred in implementing the programs described in subdivision one of this section. medical service council shall on or before December fifteenth, two thousand prepare and file with the commissioner and the state council a report with recommendations concerning, among other things, the effectiveness of such programming in training emergency medical services field providers. * S 3004. Voluntary ambulance service and municipal ambulance service registration. 1. No voluntary ambulance service or municipal ambulance service shall operate on or after the first day of September, nineteen hundred seventy-five unless it possesses a valid voluntary ambulance service statement of registration or valid municipal ambulance service statement of registration issued pursuant to this article. 2. The department shall issue a statement of registration to a voluntary ambulance service or to a municipal ambulance service upon its compliance with section three thousand nine. additional emergency medical services pursuant to section three thousand eight prior to the issuance of a statement of registration. 4. Applications for a statement of registration shall be made by the responsible official of a voluntary ambulance service or a municipal ambulance service upon forms provided by the department. 5. This section shall not apply to municipal ambulance services of a city of over one million population. Such ambulance services shall be subject to the provisions of section three thousand five. S 3004-a. Regional emergency medical advisory committees. 1. Regional emergency medical advisory committees shall develop policies, procedures, and triage, treatment, and transportation protocols which are consistent with the standards of the state emergency medical advisory committee and which address specific local conditions. regional emergency medical advisory committees may also approve physicians to provide on line medical control, coordinate the development of regional medical control systems, and participate in quality improvement activities addressing system-wide concerns. Hospitals and prehospital medical care services shall be authorized to release patient outcome information to regional emergency medical advisory committees for purposes of assessing prehospital care concerns. Regional quality improvement programs shall be presumed to be an extension of the quality improvement program set forth in section three thousand six of this article, and the provisions of subdivisions two and three of such section three thousand six shall apply to such programs. 2. The committee shall nominate to the commissioner a physician with demonstrated knowledge and experience in emergency medical services to serve on the state emergency medical advisory committee. action if he or she shall have acted in good faith, with reasonable care and upon probable cause. 4. Any decision of a regional emergency medical advisory committee regarding provision of a level of care, including staffing requirements, may be appealed to the state emergency medical advisory committee by any regional EMS council, ambulance service, advanced life support service, certified first responder, emergency medical technician, or advanced emergency medical technician adversely affected. No action shall betaken to implement a decision regarding existing levels of care or staffing while an appeal of such decision is pending. Any decision of the state emergency medical advisory committee may be appealed pursuant to subdivision two-a of section three thousand two-a of this article. S 3005. Ambulance service certificates. 1. No ambulance service operating for profit, hospital ambulance service or municipal ambulance service of a city of over one million population shall operate on or after September first, nineteen hundred seventy-five unless it possesses valid ambulance service certificate issued pursuant to this article. Effective January first, nineteen hundred ninety-seven, no ambulance service shall be operated unless it possesses a valid ambulance service operating certificate issued pursuant to this article or has been issued a statement of registration. No advanced life support first response service shall operate unless it possesses a valid advanced life support first responder service operating certificate. Effective January first, two thousand, no ambulance service shall be operated unless it possesses a valid operating certificate. certificate and is otherwise in compliance with provisions of section three thousand nine of this article. exemption issued by a regional council pursuant to subdivision five-a of section three thousand three of this article. accordance with rules and regulations promulgated pursuant to this article and is otherwise in compliance with provisions of section three thousand nine of this article. service or voluntary advanced life support first response service. established such ambulance service or advanced life support first response service shall apply for approval from the state council as to the public need for the establishment of additional ambulance service or advanced life support first response service, pursuant to section three thousand eight of this article. ambulance service or advanced life support first response service upon forms provided by the department. The application shall state the name and address of the owner and such other information as the department may require pursuant to rules and regulations. subdivision three of section twenty-eight hundred one-a of this chapter shall apply to other types of operators. Fit means that the operator or proposed operator (a) has not been convicted of a crime or pleaded nolo contendere to a felony charge involving murder, manslaughter, assault, sexual abuse, theft, robbery, fraud, embezzlement, drug abuse, or sale of drugs and (b) is not or was not subject to a state or federal administrative order relating to fraud or embezzlement, unless the commissioner finds that such conviction or such order does not demonstrate a present risk or danger to patients or the public. 2. Any service granted an exemption by the regional council pursuantto subdivision five-a of section three thousand three of this article shall be subject to the standards and terms of the exemption. 3. Notwithstanding any other provision of this article, the effective date of the standards established by this section shall be delayed by one year for each fiscal year, prior to January first, two thousand, in which the amounts appropriated are less than that which would have been expended pursuant to the provisions of section ninety-seven-q of the state finance law. except to the department or pursuant to section three thousand four-a of this article. action or proceeding the subject of which was reviewed at the meeting. The prohibition of disclosure of information from the prehospital care reporting system shall not apply to information which does not identify a particular ambulance service or individual. shall not be subject to any action for civil damages or other relief as a result of such activity. S 3007. Notice of alternative destination. In any city having a population of one million or more, whenever an individual is transported by ambulance from one facility to a second facility and the destination is changed, it shall be the responsibility of the senior ambulance dispatcher to inform the facility of origin by telephone of the ultimate destination immediately upon arrival thereat. within which the applicant requests to operate, be verified under oath, and shall be in such form and contain such information as required by the rules and regulations promulgated pursuant to this article. certified mail by the appropriate regional council to the chief executive officers of all general hospitals, ambulance services, and municipalities operating within the same county or counties where the services seeks to operate. The notice shall provide opportunity for comment. 3. Notice pursuant to this section shall be deemed filed with the ambulance service and municipality upon being mailed by the appropriate regional or state council by registered or certified mail. 4. The appropriate regional council or the state council shall make its determination of public need within sixty days after receipt of the application. 5. The applicant or any concerned party may appeal the determination of the appropriate regional council to the state council within thirty days after the regional council makes its determination. staffing and equipment standards, there should be a presumption in favor of approving the application. proposed service meets or exceeds the appropriate training, staffing and equipment standards, there shall be a strong presumption in favor of approving the application. or denied accordingly. An application pursuant to this section shall be deemed filed with the department upon being mailed to the department by registered or certified mail. lawful. In all other cases the application shall be decided in accordance with the procedures provided in section three thousand five of this article and such application shall be approved or denied accordingly. An application pursuant to this section shall be deemed filed with the department upon being mailed to the department by certified or registered mail. emergency scene. Any ambulance service seeking to operate in more than one region shall make application to each appropriate regional council. Whenever an application is made simultaneously to more than one regional council, the applications submitted to the regional councils shall be identical, or copies of each application shall be submitted to all the regional councils involved. a. Any change in the individual who is the sole proprietor of an ambulance service shall only be approved upon a determination that the proposed new operator is competent and fit to operate the service. remaining partners shall not be subject to a character and fitness review. 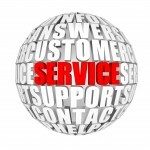 operate the service. The remaining stockholders shall not be subject to a character and fitness review. required by this section shall be null and void and the certificate of such ambulance service shall be subject to revocation or suspension. further care, or to such patient’s home, if such patient’s home is within its primary territory. Any ambulance service owned by or under contract to a general hospital licensed by the department may transport any specialty patient from any other general hospital or health care facility licensed by the department to the hospital owning such ambulance service, or with which it has a contract. Categories of specialty patients shall be defined by rule by the state emergency medical services council, subject to the approval of the commissioner. 4. No ambulance service certificate of an ambulance service which has discontinued operations for a continuous period in excess of thirty days shall be transferable without the approval of the appropriate regional council. S 3011. Powers and duties of the department and the commissioner. 1.The department may inquire into the operation of ambulance services and advanced life support first response services and conduct periodic inspections of facilities, communication services, vehicles, methods, procedures, materials, staff and equipment. It may also evaluate data received from ambulance services and advanced life support first response services. 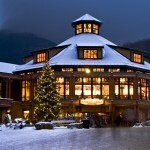 necessary to carry out the provisions of this article. 3. The commissioner, with the advice and consent of the state council, shall designate not more than eighteen geographic areas within the state wherein a regional emergency medical services council shall be established. In making the determination of a geographic area, the commissioner shall take into consideration the presence of ambulance services, hospital facilities, existing emergency medical services committees, trained health personnel, health planning agencies and communication and transportation facilities; and shall establish a separate regional emergency medical services council for the county of Nassau. The commissioner shall promote and encourage the establishment of a regional emergency medical services council in each of said designated areas. 4. The commissioner may propose rules and regulations and amendments thereto for consideration by the state council. The commissioner shall establish a schedule of certification fees for ambulance services and advanced life support first response services other than voluntary ambulance services and voluntary advanced life support first response services. order to effectuate the provisions of this article. ambulance service or with the fire commissioners of fire districts operating certified voluntary ambulance services for the use of necessary equipment upon such terms and conditions as the commissioner shall deem appropriate. 7. The commissioner may recommend to the state council minimum qualifications for certified first responders (which shall not exceed fifty-one hours), emergency medical technicians and advanced emergency medical technicians in all phases of emergency medical technology including but not limited to, communications, first aid, equipment, maintenance, emergency techniques and procedures, patient management and knowledge of procedures and equipment for emergency medical care. 10. The commissioner is hereby authorized and empowered to extend the certification for emergency medical technicians or advanced emergency medical technicians who have been federally ordered to active military duty, other than for training, related to the Persian Gulf crisis and whose certification will expire during their military duty. The extended certification shall be for the period of military duty and for six months after they have been released from active military duty. hundred thirteen of the education law. 2. Proceedings under this section may be initiated by any person, corporation, association, or public officer, or by the department by the filing of written charges with the department. Whenever the department seeks revocation or suspension of a certificate of an ambulance service or an advanced life support first response service, a copy of the charges shall be referred to the appropriate regional council for review and recommendation to the department prior to a hearing. Such recommendation shall include a determination as to whether the public need would be served by a revocation, suspension, annulment or limitation. If there is no appropriate regional council established, the state council shall make such determination and present to the department its recommendations. 3. No certificate shall be revoked, suspended, limited or annulled without a hearing. However, a certificate may be temporarily suspended without a hearing and without the approval of the appropriate regional council or state council for a period not in excess of thirty days upon notice to the certificate holder following a finding by the department that the public health, safety or welfare is in imminent danger. 4. The commissioner shall fix a time and place for the hearing. A copy of the charges and the recommendations of the appropriate regional council or state council together with the notice of the time and place of the hearing, shall be mailed to the certificate holder by registered or certified mail, at the address specified on the certificate, at least fifteen days before the date fixed for the hearing. The appropriate regional council may be a party to such hearing. The certificate holder may file with the department, not less than five days prior to the hearing, a written answer to the charges. medical assistance in an emergency unless it is established that such injuries were or such death was caused by gross negligence on the part of such certified first responder, emergency medical technician or advanced emergency medical technician or person acting under the direction of an emergency medical technician or advanced emergency medical technician. 2. Nothing in this section shall be deemed to relieve any such voluntary ambulance service or voluntary advanced life support first response service from liability for damages or injuries or death caused by an act or omission on the part of any person other than a certified first responder, an emergency medical technician, advanced emergency medical technician or person acting under the direction of an emergency medical technician or advanced emergency medical technician acting in behalf of the voluntary ambulance service or voluntary advanced life support first response service. 3. Nothing in this section shall be deemed to relieve or alter the liability of any such voluntary ambulance service or members for damages or injuries or death arising out of the operation of motor vehicles. caused by gross negligence on the part of such certified first responder, emergency medical technician or advanced emergency medical technician. 5. Notwithstanding any inconsistent provision of any general, special or local law, any physician who voluntarily and without the expectation of monetary compensation provides indirect medical control, as defined in paragraph (b) of subdivision fifteen of section three thousand one of this article, to a voluntary ambulance service or voluntary advanced life support first response service described in section three thousand one of this article shall not be liable for damages for injuries or death alleged to have been sustained by any person as a result of such medical direction unless it is established that such injuries or death were caused by gross negligence on the part of such physician. Sec. 3014. Construction. Notwithstanding any inconsistent provision of any general, special or local law, the provisions of this article shall be deemed to apply to the city of New York. paragraph, section or part of this article directly involved in the controversy in which the judgment shall have been rendered. Sec. 3016. Continuance of rules and regulations. All rules and regulations heretofore adopted by the commissioner pertaining to all ambulance services shall continue in full force and effect as rules and regulations until duly modified or superseded by rules and regulations hereafter adopted and enacted by the state council pursuant to section three thousand two of this article. (e) the response site is a hospital licensed under article twenty-eight of this chapter for a transfer to another such facility. there is a fee charged for the performance of such service. (c) to comply with appropriate instructions from the dispatch entity. The dispatch entity, when appropriate, may instruct the service to transport any patient to an appropriate hospital. limited to the category or categories in which the advanced emergency medical technician is certified pursuant to this article, and (3) recorded for each patient, on an individual treatment-management record. care or other appropriate service. NYS Public Health Law, Article 30 – Emergency Medical Services ;3000-a. 1. Except as provided in subdivision six of section six thousand six hundred eleven, subdivision two of section six thousand five hundred twenty-seven, subdivision one of section six thousand nine hundred nine and sections six thousand five hundred forty-seven and six thousand seven hundred thirty-seven of the education law, any person who voluntarily and without expectation of monetary compensation renders first aid or emergency treatment at the scene of an accident or other emergency outside a hospital, doctor’s office or any other place having proper and necessary medical equipment, to a person who is unconscious, ill, or injured, shall not be liable for damages for injuries alleged to have been sustained by such person or for damages for the death of such person alleged to have occurred by reason of an act or omission in the rendering of such emergency treatment unless it is established that such injuries were or such death was caused by gross negligence on the part of such person. Nothing in this section shall be deemed or construed to relieve a licensed physician, dentist, nurse, physical therapist or registered physician’s assistant from liability for damages for injuries or death caused by an act or omission on the part of such person while rendering professional services in the normal and ordinary course of his or her practice. 2. A person who, or entity, partnership, corporation, firm or society that, purchases or makes available resuscitation equipment that facilitates first aid, as required by law or local law, shall not be liable for damages arising either from the use of that equipment by a person who voluntarily and without expectation of monetary compensation renders first aid or emergency treatment at the scene of an accident or medical emergency,or from the use of defectively manufactured equipment; provided that this subdivision shall not limit the person’s or entity’s, partnership’s, corporation’s, firm’s or society’s liability for his, her or its own negligence, gross negligence or intentional misconduct. 1. Notwithstanding any inconsistent provision of any general, special or local law, a voluntary ambulance service or voluntary advanced life support first response service described in section three thousand one of this article and any member thereof who is a certified first responder, an emergency medical technician, an advanced emergency medical technician or a person acting under the direction of an emergency medical technician or advanced emergency medical technician and who voluntarily and without the expectation of monetary compensation renders medical assistance in an emergency to a person who is unconscious, ill or injured shall not be liable for damages for injuries alleged to have been sustained by such person or for damages for the death of such person alleged to have occurred by reason of an act or omission in the rendering of such medical assistance in an emergency unless it is established that such injuries were or such death was caused by gross negligence on the part of such certified first responder, emergency medical technician or advanced emergency medical technician or person acting under the direction of an emergency medical technician or advanced emergency medical technician. 4. A certified first responder, emergency medical technician or advanced emergency medical technician, whether or not he or she is acting on behalf of an ambulance service or advanced life support first response service, who voluntarily and without the expectation of monetary compensation renders medical assistance in an emergency to a person who is unconscious, ill or injured shall not be liable for damages alleged to have been sustained by such person or for damages for the death of such person alleged to have occurred by reason of an act or omission in the rendering of such medical assistance in an emergency unless it is established that such injuries were or such death was caused by gross negligence on the part of such certified first responder, emergency medical technician or advanced emergency medical technician. To enact sections 2305.235 and 3701.85 of the Revised Code to authorize performance of automated external defibrillation and provide civil and criminal immunity and to declare an emergency. 2) “PHYSICIAN” HAS THE SAME MEANING AS IN SECTION 4765.01 OF THE REVISED CODE. (B) EXCEPT IN THE CASE OF WILLFUL OR WANTON MISCONDUCT, NO PHYSICIAN SHALL BE HELD LIABLE IN CIVIL DAMAGES FOR INJURY, DEATH, OR LOSS TO PERSON OR PROPERTY FOR PROVIDING A PRESCRIPTION FOR AN AUTOMATED EXTERNAL DEFIBRILLATOR APPROVED FOR USE AS AMEDICAL DEVICE BY THE UNITED STATES FOOD AND DRUG ADMINISTRATION OR CONSULTING WITH A PERSON REGARDING THE USE AND MAINTENANCE OF A DEFIBRILLATOR. (1) “AUTOMATED EXTERNAL DEFIBRILLATION” HAS THE SAME MEANING AS IN SECTION 2305.235 OF THE REVISED CODE. (5) “REGISTERED NURSE” AND “LICENSED PRACTICAL NURSE” HAVE THE SAME MEANINGS AS IN SECTION 4723.02 OF THE REVISED CODE. CONSULT WITH A PHYSICIAN REGARDING COMPLIANCE WITH THE REQUIREMENTS OF DIVISIONS (B)(1) AND (2) OF THIS SECTION. (C) A PERSON WHO POSSESSES AN AUTOMATED EXTERNAL DEFIBRILLATOR MAY NOTIFY AN EMERGENCY MEDICAL SERVICES ORGANIZATION OF THE LOCATION OF THE DEFIBRILLATOR. SHALL BE ACTIVATED AS SOON AS POSSIBLE. Section 2. This act is hereby declared to be an emergency measure necessary for the immediate preservation of the public peace, health, and safety. The reason for such necessity is that more widespread use of automated external defibrillators will increase the chances of surviving sudden cardiac arrest. § 2305.23 Liability for emergency care. § 4765.49 Civil immunity of emergency medical personnel and agencies. (A) A first responder, emergency medical technician-basic, emergency medical technician-intermediate, or emergency medical technician-paramedic is not liable in damages in a civil action for injury, death, or loss to person or property resulting from the individual’s administration of emergency medical services, unless the services are administered in a manner that constitutes willful or wanton misconduct. A physician or registered nurse designated by a physician, who is advising or assisting in the emergency medical services by means of any communication device or telemetering system, is not liable in damages in a civil action for injury, death, or loss to person or property resulting from the individual’s advisory communication or assistance, unless the advisory communication or assistance is provided in a manner that constitutes willful or wanton misconduct. Medical directors and members of cooperating physician advisory boards of emergency medical service organizations are not liable in damages in a civil action for injury, death, or loss to person or property resulting from their acts or omissions in the performance of their duties, unless the act or omission constitutes willful or wanton misconduct. (B) A political subdivision, joint ambulance district, joint emergency medical services district, or other public agency, and any officer or employee of a public agency or of a private organization operating under contract or in joint agreement with one or more political subdivisions, that provides emergency medical services, or that enters into a joint agreement or a contract with the state, any political subdivision, joint ambulance district, or joint emergency medical services district for the provision of emergency medical services, is not liable in damages in a civil action for injury, death, or loss to person or property arising out of any actions taken by a first responder, EMT-basic, EMT-I, or paramedic working under the officer’s or employee’s jurisdiction, or for injury, death, or loss to person or property arising out of any actions of licensed medical personnel advising or assisting the first responder, EMT-basic, EMT-I, or paramedic, unless the services are provided in a manner that constitutes willful or wanton misconduct. (2) The student’s training as an ambulance driver, unless the driving is done in a manner that constitutes willful or wanton misconduct. (D) An EMT-basic, EMT-I, paramedic, or other operator, who holds a valid commercial driver’s license issued pursuant to Chapter 4506. of the Revised Code or driver’s license issued pursuant to Chapter 4507. of the Revised Code and who is employed by an emergency medical service organization that is not owned or operated by a political subdivision as defined in section 2744.01 of the Revised Code, is not liable in damages in a civil action for injury, death, or loss to person or property that is caused by the operation of an ambulance by the EMT-basic, EMT-I, paramedic, or other operator while responding to or completing a call for emergency medical services, unless the operation constitutes willful or wanton misconduct or does not comply with the precautions of section 4511.03 of the Revised Code. An emergency medical service organization is not liable in damages in a civil action for any injury, death, or loss to person or property that is caused by the operation of an ambulance by its employee or agent, if this division grants the employee or agent immunity from civil liability for the injury, death, or loss. (E) An employee or agent of an emergency medical service organization who receives requests for emergency medical services that are directed to the organization, dispatches first responders, EMTs-basic, EMTs-I, or paramedics in response to such requests, communicates such requests to those employees or agents of the organization who are authorized to dispatch first responders, EMTs-basic, EMTs-I, or paramedics, or performs any combination of these functions for the organization, is not liable in damages in a civil action for injury, death, or loss to person or property resulting from the individual’s acts or omissions in the performance of those duties for the organization, unless an act or omission constitutes willful or wanton misconduct. (F) A person who is performing the functions of a first responder, EMT-basic, EMT-I, or paramedic under the authority of the laws of a state that borders this state and who provides emergency medical services to or transportation of a patient in this state is not liable in damages in a civil action for injury, death, or loss to person or property resulting from the person’s administration of emergency medical services, unless the services are administered in a manner that constitutes willful or wanton misconduct. A physician or registered nurse designated by a physician, who is licensed to practice in the adjoining state and who is advising or assisting in the emergency medical services by means of any communication device or telemetering system is not liable in damages in a civil action for injury, death, or loss to person or property resulting from the person’s advisory communication or assistance, unless the advisory communication or assistance is provided in a manner that constitutes willful or wanton misconduct. (G) A person certified under section 4765.23 of the Revised Code to teach in an emergency medical services training program or emergency medical services continuing education program is not liable in damages in a civil action for injury, death, or loss to person or property resulting from the person’s acts or omissions in the performance of the person’s duties, unless an act or omission constitutes willful or wanton misconduct. (I) A person authorized by an emergency medical service organization to review the performance of first responders, EMTs-basic, EMTs-I, and paramedics or to administer quality assurance programs is not liable in damages in a civil action for injury, death, or loss to person or property resulting from the person’s acts or omissions in the performance of the person’s duties, unless an act or omission constitutes willful or wanton misconduct. deleting the word “automatic” and by substituting instead the word “automated”. language “emergency care” and the language “to persons attending”. (g) a list of the AED training programs approved by the department. 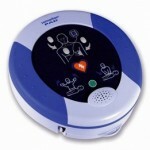 by the entity and have been followed by the individuals using the AED. approved by the Tennessee Emergency Medical Services Board. charges and requests delivery of an electrical impulse to an individual’s heart. emergency use of an AED and in no case shall it apply where there is a duty to provide care. (2) Participates or assists in rendering emergency care to persons attending or participating in performances, exhibitions, banquets, sporting events, religious or other gatherings open to the general public, with or without an admission charge, whether or not such emergency care is made available as a service, planned in advance by the promoter of the event and/or any other person or association, shall not be liable to such victims or persons receiving emergency care for any civil damages as a result of any act or omission by such person in rendering the emergency care, or as a result of any act or failure to act to provide or arrange for further medical treatment or care for the injured person, except such damages as may result from the gross negligence of the person rendering such emergency care. (c) A receiving medical facility shall not be liable for any civil damages as a result of any act or omission on the part of any member of a volunteer first aid, rescue or emergency squad, which provides emergency public first aid and rescue services, while such person is assisting medical personnel at the receiving medical facility. (3) The plant is located in a county which does not otherwise provide fire protection to such residents; then the members of such volunteer fire squad, while providing fire protection within such area outside the plant, shall be liable to suit under the provisions of the Governmental Tort Liability Act, compiled in title 29, chapter 20, part 2. 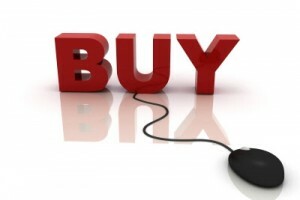 Should we lease or buy? This is very different decision from group to group. If you have a strong coordinator who enjoys the project, has good attention to detail, and long term cost is a consideration, you might consider purchasing. Absent that, you might be better off with a lease. Sometimes an AED program is set up by an enthusiastic individual at a company. When that employee leaves the company or changes jobs, the AED program does not get reassigned and goes dormant. If the AED is needed, it could be without charged batteries, with expired electrodes, and in the hands of an untrained user. That is the type of scenario that nobody wants. 2. Maintaining the device and replacing batteries, electrodes, etc. 6. Somewhat less predictable costs that occur when training is required, when consumable supplies expire, etc. 2. All consumables that expire without use are included in the cost of device. There are no unexpec ted costs for replacing batteries or electrodes. 3. 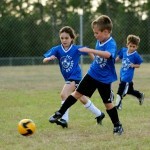 Training can be included in your lease. 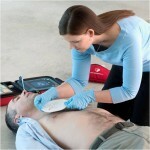 Typically a CPR/AED/First Aid course for up to 10 participants every year is bundled into the typical lease agreement. 5. Medical Direction by a Emergency Management boarded physician is included in your lease. 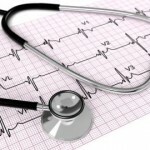 If the d evice gets used, our physician reads the ECG and provides consultation. 6. No up-front cost! The lease starts with your regular monthly payment. Commitments are typically 2 years, and buy-out options are available for those wishing to purchase the devices after that time. This unit is ideal for Public Access Defibrillation (PAD) programs where the goal is to attend to victims of sudden cardiac arrest. It represents an ideal and cost-effective product for home AED programs, public programs such as mall or church venues, and corporate CPR/AED projects. This unit is ideal for minimally trained rescuers to use in an organized response in a corporate or industrial environment. More cost-effective options exists - Our Short Term Lease program allows organizations to lease an AED for a season. You receive an up-to-date, recall-free AED with batteries and electrodes guaranteed for the length of that season. Configurations include adult-only or adult/pediatric, and the unit is shipped to the site, and the customer simply ships it back at the end of the season. Cost for most leases under 4 months is around $275 in most markets. Cost: For most leases under 4 months cost is around $275 in most markets.